One of the last big things I was able to do with my former church before I came to Truro Anglican in Fairfax was release an Advent EP called “For Our Salvation”. It was released a year ago in December 2013. It features four Advent carols (arranged by me and orchestrated by Joshua Spacht), one instrumental piece (again by Joshua), and one of my original songs called “Beautiful Baby Boy“. The songs are arranged for band, strings, and feature a children’s choir as well. The first song on the EP is “Once in Royal David’s City”, an old carol written by Cecil Alexander and Henry Gauntlett. This is the carol that usually kicks off “Lessons and Carols” services, and it’s a beautiful retelling of the story of Jesus’ birth, culminating with that great longing of ours to one day see him again. 1. I left out the verse that talks about how little children should be as “mild, obedient, and good” as Jesus. 2. In its place, I wrote a verse that explains: “He was given to pay our ransom / By His blood we are set free / Suffered He for our transgressions / Lamb of God upon the tree / Then He rose up from the grave / Risen King with power to save”. 3. I chose the version of the last verse that ends “…Christ revealed to faithful eye / Set at God’s right hand on high”, as opposed to the other version which says “Where like stars His children crowned / All in white shall wait around”. For some reason that last version doesn’t exactly elicit an exciting view of heaven! You can purchase the song on iTunes here. And here is the free orchestration for strings (including a chord chart), by my good friend Joshua Spacht. The whole EP is available at www.tfcamusic.org or on iTunes. 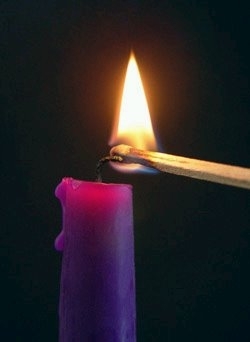 This coming Sunday, December 1st, is the first Sunday of Advent. Liturgically, it’s the beginning of the new church year. Practically, it’s the countdown to Christmas. It’s a season of waiting, expectation, anticipation, and heightened awareness that a special day is on the horizon. Some churches make a big deal of Advent and some churches skip over the whole thing and just start singing Christmas carols before people have even had a chance to finish their left-over Turkey. I’d like to make a case, in whatever church/denominational/liturgical setting you lead, that you try to aim for at least three things as you lead in Advent. The countdown to Christmas taps into a longing in people’s hearts that they might not even be aware is there. The presenting longing is for a fun party, or for some days off, or for time with family, or opening presents, but the underlying longing in all of us is to be rescued. We all want a Savior. If you think I’m crazy just watch people’s faces at political rallies. It’s nuts. At this time of year, between Thanksgiving and Christmas, the weeks the Church has called “Advent” (for “arriving” or “coming”) for centuries, we’re crazy if we ignore the anticipation that everyone is experiencing, and attempt to skip over it and jump to Christmas too soon. Wait until the last Sunday before Christmas, or even Christmas Eve, to sing Christmas songs. Sing Advent hymns, not Christmas carols. Light the Advent candles. Pray Advent prayers. Let the prophesies of the coming of Christ be read in your services. Don’t decorate your Sanctuary too soon. Intentionally hold off on bringing Christmas into things too early in the season. Build anticipation, even to the point of making people ask you why you’re waiting so long. The point is to tap into people’s anticipation, and to remind them that the underlying longing is for a Savior. It will make Christmas (and Christmas carols) all the more sweet when you finally get there. A few nights ago I read a tragic story in The Washington Post about a murder/suicide about an hour’s drive from my house that claimed the life of a young mother and her infant while the 5-year-old daughter took a bath upstairs. She didn’t know anything was wrong until her Mom didn’t come to get her out of the bath, at which point she got herself dressed and then made the terrible discovery downstairs. We all read news stories like that, or hear of yet another case of incurable cancer, or read of more threats of war, or see the villages in the Philippines completely wiped off the map in the latest typhoon, and deep inside of us we know it’s not the way it’s supposed to be. Advent is a time when we can (and should) sing songs and pray prayers of lament, crying out to Jesus to come back, and to come back soon, and to “make the sad things come untrue”. If we skip past Advent without giving our people an opportunity to express these cries, we do them a disservice. Let your people lament. And lament in hope. Because one day Jesus came as a baby and he’ll one day come again as King. Christmas parties, travel, buying presents, wrapping presents, buying a tree, decorating the house, having a good time, baking cookies, hanging lights outside your house, raking leaves, keeping everyone happy, sweeping up broken ornaments, watering the tree, sending out Christmas cards, getting a family picture taken, baking the pie, trying not to gain 20 pounds, and oh that’s right try to make it to church too. The weeks leading up to Christmas are the most insane weeks of the people in your congregation’s whole year. We all feel it. I’m feeling it this year especially as Catherine and I prepare to welcome baby girl # 3 on December 18th! And release two new albums (great Christmas present idea! ), and manage the Andrew Peterson concert two days after our new baby comes, and the list goes on. All of us have our own long lists this time of year. Wouldn’t it be a great gift to our people on Sunday mornings if we gave them some space to be still? Between songs. During a song. Between readings. After the message. During communion. Whenever. Find some time in your services to intentionally leave some space for people to be still. Even just 30 seconds can be powerful. Just say something like: “This morning we’re aware that all of us are experiencing the usual pre-Christmas busyness and pressure and anxiety. We’re just going to take a few moments to pause, and be still, and enjoy God’s presence, and before we sing this next song let’s allow the Holy Spirit to help us to slow down. To rest. To remember our need for a Savior…” Something like that. It will bless people. So whether you’re in a really liturgical church or a really informal church, I’d encourage you to use the season of Advent to help your congregation anticipate the coming of Christ and the coming of Christmas, to lament all the brokenness and sadness that we long for him to redeem, and to see Sunday mornings as opportunities to rest in the grace and love of God that’s displayed in the cradle, on the cross, in the empty tomb, and on the occupied Throne. 3. What Songs Work Well For Advent? About a month ago I mentioned that we’re working on two upcoming projects due to be released this November. One is a worship album and the other is an Advent EP. I’m thrilled about them both and I can’t wait to share them with you so they can be a blessing to you and so you can have some new ideas/songs/inspiration for you and your ministry. This 6-song EP, featuring band, organ, children’s choir, and strings, presents the story of the longed-for Messiah through fresh arrangements of traditional carols, and two new compositions. These songs will help you cherish Jesus and stoke your expectation to see him, one day, face to face. You can pre-order it here. What Songs Work Well for Advent? Two years ago I wrote some posts on songs that work well in Advent. The first post had to do with “what to do with Advent” and some good hymns to sing. The second post had suggestions of newer, more contemporary songs that work congregationally. The third post had a couple of songs that worked as special/not congregational songs. Here are some other songs I’ve become aware of that might work during Advent. – Justin Taylor at The Gospel Coalition featured this song last year. Click here to listen to the song and read the lyrics. Jamie Brown. © 2011 Worthily Magnify Music. CCLI Song # 6026949. On Monday I suggested some Advent hymns, and on Tuesday some more contemporary Advent songs that you might find helpful to include in your services during this season of preparation for Jesus’ coming. Here are a couple more resources/song ideas. Most of these probably work better as special pieces, not necessarily sung congregationally. 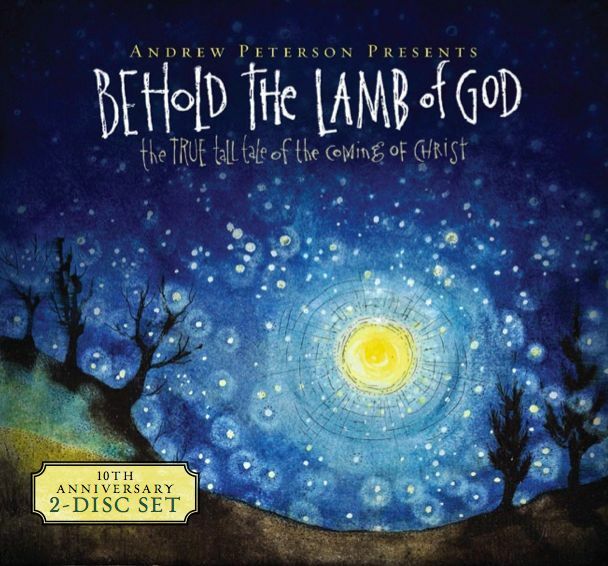 In 2000, Andrew Peterson released “Behold the Lamb of God: The True Tall Tale of the Coming of Christ”, a CD that masterfully tells the story of salvation in twelve songs. The first five songs deal with themes such as the Passover (“Passover Us”), Israel’s longing for a King (“So Long Moses”), and their need for deliverance (“Deliver Us”). A fantastic instrumental version of “O Come, O Come Emmanuel” comes right before “Matthew’s Begats”, the genealogy of Jesus Christ set to a bluegrass tune. It works. Really. I can’t say enough good things about this album. It’s full of rich, biblical truth, and tells this familiar story in a fresh way. I only have one small quibble with a phrase he uses on the first song, “Gather Round Ye Children”, where he says Jesus “gave up his pride and came here to die like a man”. Andrew is trying to convey the amazing truth that Jesus became like us, stepped down from Heaven, and died on the cross in our place. But that phrase could be seen as implying that by giving up “his pride” Jesus was prideful, and the wording of Jesus coming to “die like a man” might be a bit confusing. All in all, though, a fantastic CD and a good resource for some special songs to sing during Advent. And the rest of the year too. I have yet to come across a modern song that helps articulate our longing for Jesus to return as well as this song does. “Lord, we know your heart is broken by the evil that you see, and you’ve stayed your hand of judgment for your plan to set men free. But the land is still in darkness and we’ve fled from what is right. We have failed the silent children who will never see the light”. It’s certainly biblical to sing songs of lament and longing to the Lord. Sometimes, though, it’s hard to find a good occasion to include these kinds of songs. Advent provides a good opportunity. Yesterday I mentioned that we’re in the midst of the season of Advent and suggested some ways worship leaders can make the four Sundays in this season feel Adventy. No, “Adventy” isn’t a word, but you know what I mean. Click here to see yesterday’s post. Basically, you don’t want to sing Christmas songs until Christmas. Off of Paul Baloche’s new CD of the same name, the last verse sings of how “the hope of his returning fills the universe”. A song full of the hope of heaven. Very easy to sing, a great and catchy chorus, and rich truth. Great song. Verse 1: Jesus is born. Verse 2: Jesus lives among us, is tempted in every way as we are but does not sin. Verse 3: Jesus suffers death in our place on the cross, defeating death. Verse 4: Jesus reigns victoriously at his Father’s right hand, “interceding for His own beloved, till His Father calls to bring them home”. Wow. Verse three says: “Majesty, we’ll sing with creation when You come again in the clouds. Every knee will bow down and worship the one true God”. This isn’t one of Townend/Getty’s most well-know songs, but I think it’s a fantastic song for Advent. It’s short, easy, and right on target for this season. Verse 1 says: “Lord, we wait for the day of your appearing. Lord, we wait for your coming in the clouds”. Verse 2: “In that day, death is swallowed up in victory. In that day, sin and death shall be no more”. The chorus declares: “with a shout the trumpet will sound and the dead will be raised to life, and we will meet him in the air”. Great Advent song. This might be considered a “hymn” in some circles, but in other circles it’s still pretty new. Either way, it’s still a great song. It points us to Jesus “our Redeemer, name above all names”, reminds us that he was slain for sinners, that we “will see his face” when we “stand in glory”, and reminds us that God has given us “His Spirit till the work on earth is done”. Songs that express a longing for the birth of the Messiah in Bethlehem might work well for Christmas pageants, but might be confusing in a congregational context. As we say in the communion liturgy in Anglican churches, “Christ has died, Christ is risen, Christ will come again”. I’m looking for songs that help articulate a longing for the risen and victorious Jesus Christ to return. Sure, it would be easier (and more fun) to crank out “O Come All Ye Faithful” or “Joy to the World” the first Sunday of December. But we wait. We’re now in the season of Advent, the liturgical season leading up to Christmas. The word Advent means, literally, “coming” – and this season helps us not only remember the expectation for the Messiah’s birth in Bethlehem 2,000 years ago but to prepare ourselves with expectation for Jesus’ coming again in glory. If, like me, you lead worship at a church that observes this season in some way, you’re probably wondering what kind of songs work as Advent songs and what you’re supposed to do during this liturgical season. Here are some suggestions for ways you can help your congregation prepare for Jesus’ coming over these next few weeks. Shopping malls put Christmas decorations up right after Halloween. Radio stations play Christmas music while Thanksgiving turkey is still on your plate. Why in the world would we wait so long to sing Christmas songs at church? Because the waiting makes a point. Making your congregation wait until Christmas to sing Christmas songs is a tangible way of fostering an atmosphere of anticipation and expectation. It might even unsettle some people. But through your intentional leadership, you can help people see that this is a season to prepare for Jesus’ coming. Go crazy on Christmas Eve, Christmas day, and the Sunday after Christmas. 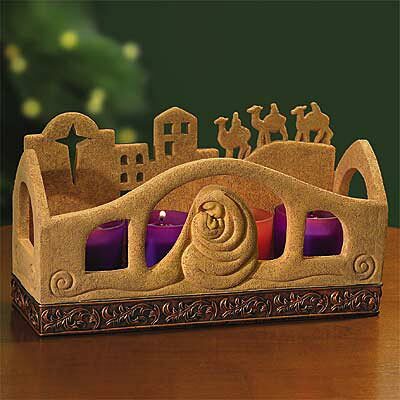 Hold your horses during Advent. Probably the most well-known Advent hymn. It has 8 verses, some of which were meant to be sung on certain days of the week leading up to Christmas. I usually use verses 1, 4, 6, and 7. There are lots of different versions of the text of this hymn floating around. I use the text from the 1982 Episcopal hymnal, although I’m sure there are better texts out there. Sometimes I’ll give this hymn a driving 4/4 beat, and in between some of the verses I’ll use the refrain from Brenton Brown’s “All Who Are Thirsy” that says “come, Lord Jesus, come”. Here is a really rough recording (i.e. 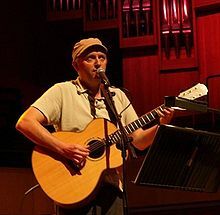 sound board mix – reduced quality for space reasons – with mistakes – never intended to be posted on the internet…) of us doing this at my church in 2006. Not the most well-known hymn in the world, but one of my favorites. I prefer the tune Helmsley. Don’t rush it and sing it too fast. Let the words really sink in. A simple, tender Advent hymn. Verse three talks about “When Christ shall come…” Sadly, the version by Paul Balohce that I link to above omits this verse. I like the additional/alternate lyrics courtesy of Robert Critchley. Chord chart. The often-omitted fourth verses talks about “…that day when, freed from sinning, I shall see thy lovely face…” and says “come, my Lord, no longer tarry…” A great prayer for Advent. I like the additional/alternate lyrics courtesy of Bob Kauflin. My friend, Alex Mejias, has just released a great CD of re-worked Advent hymns. Check it out at his website, http://www.highstreethymns.com. Or purchase it on iTunes here. Tomorrow I’ll share some contemporary songs that work well during the season of Advent. An Advent EP featuring band, children's choir, and strings performing new arrangements of classic Advent carols, plus two original pieces. The girls are loving their new real-life baby doll.